GS race day - Another early morning today to be prepared for an 8.05am inspection. 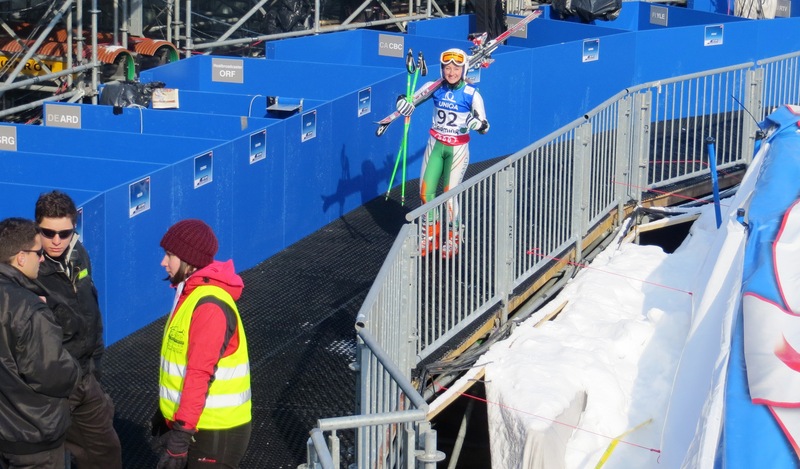 As I arrived at the lift station this morning I was surprised to be presented with a rose on behalf of the Championships to celebrate Valentine's day and then I headed straight to the course for inspection. The course looked challenging but not horrific and was extremely icy to the point that many girls were more focused on standing up than on inspecting the course! I was interviewed by Orf 1 (Austrian TV) and asked for my views on the course and the event as a whole. With course inspection over by 9 and the start not scheduled until 10, I had plenty of time for some warm up runs above the course. We were taken from the bottom of warm up to the top by shuttle buses to avoid a long turn around. After watching the top athletes' runs on the large screen at the middle station of the Planai lift, I headed down to the start to prepare for my own run. I managed to keep my nerves under control and kept composed and focused on the course set and before too long I was ready in the start gate. After being held for a couple of intervals, and almost being distracted by a swooping camera which was getting a very close shot, I pushed out for my Giant Slalom run. All seemed to be going well and I was handling the bumps and ice quite nicely until ... I crashed out. The immediate fear of my crash was quickly replaced by disappointment as it dawned on me that my World Championships GS race was over. 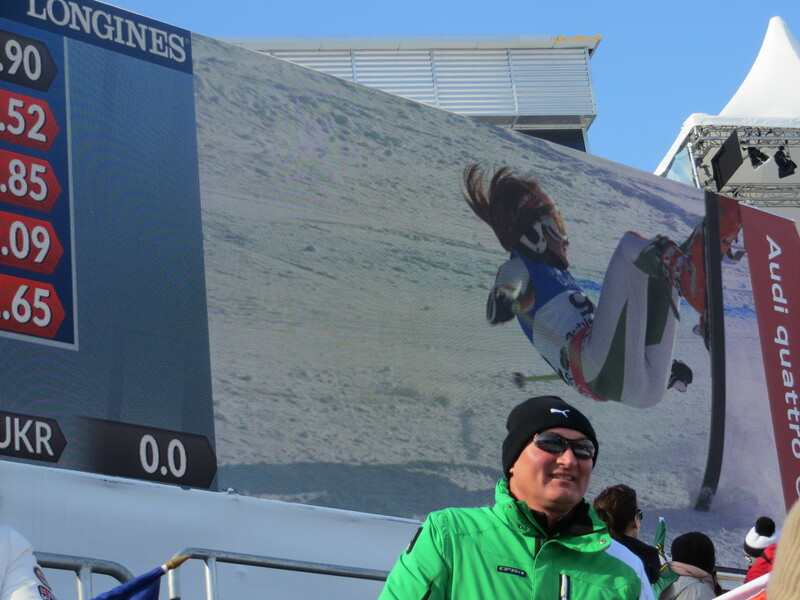 However, video replay of my crash in real time and especially slow motion on the enormous screens in the stadium and all around Schladming looked quite jaw dropping and softened the blow a little. As I came into the finish area I was cheered by a very supportive crowd and I took advantage of the Milka hot chocolate stand which was supplying the exhausted athletes with a much needed pick me up. Whilst eating lunch in the team hospitality area, I was very excited to see my crash was replayed in slow motion during a TV analysis of the race and I enjoyed my '15 minutes of fame'. All in all it was an amazing day for me despite my disappointment. As I was reminded, it's all part of ski racing!